ORLANDO, Fla. /Florida Newswire/ — Today at Cisco Live, Cisco’s annual IT and communications conference, iTrinegy, specialists in mitigating risk associated with application performance over networks, announced the launch of their NE-ONE X-Series Network Emulator. This product combines 10Gbps performance with NE-ONE features such as Auto-configuration and Network Scenario Builder, to enable organizations to easily test applications in up to 10Gbps Point-to-Point Virtual Test Networks that mimic real-world environments. With network infrastructures constantly evolving, as witnessed by the development of SD-WAN, applications and data are now being delivered over an array of different speed network connections that could include WAN, WiFi, Mobile and Cloud, and possibly even Satellite. Therefore, it is important to verify that applications are going to be able to cope with the inevitable variations in network speed, quality and availability, prior to actual deployment. 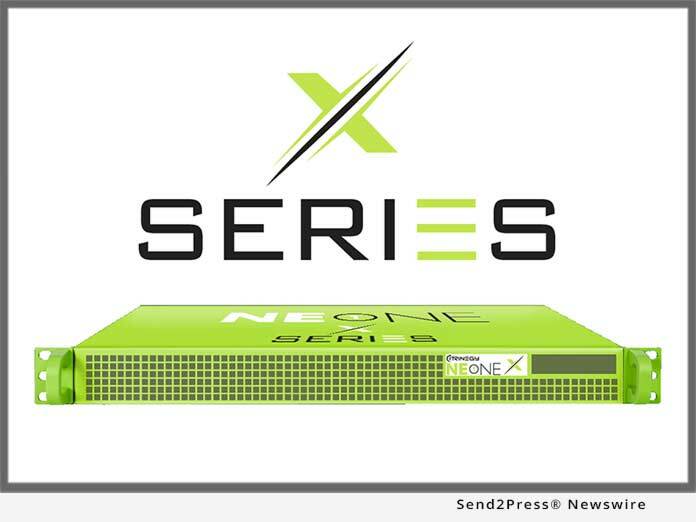 The NE-ONE X-Series addresses this requirement by being able to recreate higher performance Point-to-Point multipath test and evaluation network environments in which to conduct SD-WAN Proof-of-Concept, Evaluation and Training, Data Center and Server Relocation Testing, VDI Testing, WAN Optimizer Testing, Encryption Testing, Unified Comms Testing, Mobile App Testing and App Testing over Satellite circuits. The X-Series epitomises the existing NE-ONE Network Emulator design principle of being easy to use and cost-effective, and along with enhanced performance, is supplied with all the full range of NE-ONE features as standard. The NE-ONE Network Emulator range is available in three formats: desktop (up to 1Gbps) virtual appliance (up to 200Mbps) and now half rack-mount (10Gbps). Customers have the added assurance that as their requirements change the NE-ONE hardware and virtual versions can be upgraded across the range, in most cases by simply purchasing a new license key. iTrinegy is trusted by governments, military organizations and enterprises across the globe including LSRC (UK MoD), Federal Government and Military, Alcatel, Aviva, BT, Boeing, Cisco, Fidelity Worldwide Investments, IBM, Lockheed Martin, Northrop Grumman, National Australia Bank, Raytheon, Thomson Reuters, Salesforce and Starbucks. For more information please visit https://www.itrinegy.com/.